Icebreakers: Pterodactyl and Zip Bing | GUIDE, Inc. 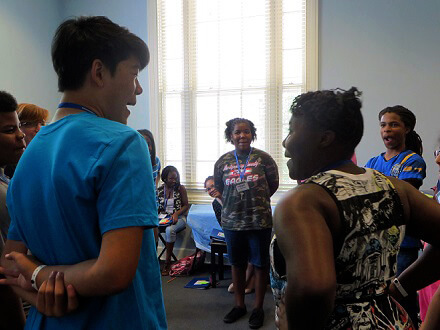 These icebreakers are so much fun and guaranteed to give your group a good laugh! We recommend incorporating either one into the beginning of a Youth Action Team meeting, in your classroom for a brain break or with your staff to liven things up a bit in the office. Everyone benefits from an opportunity to be silly while engaging in some friendly competition. 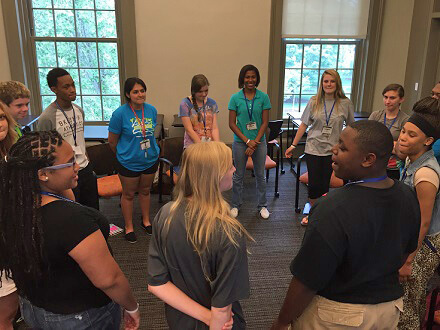 Description & Directions: Have participants stand in a circle and choose one person to start the game. Tell participants to, one at a time, turn to the person on their left and say “pterodactyl,” going around the circle clockwise as fast as possible. As they say “pterodactyl,” they have to keep their teeth completely covered with their lips (no smiling)! Warn the group that if participants accidentally show any teeth, they will be out. Once participants understand the “pterodactyl,” add a new element to the game. Participants can reverse the direction of play by turning to the person on their right and making a pterodactyl noise (and arm movements!) instead of saying the word, while still keeping their teeth covered. The noise can be whatever you think a pterodactyl would sound like! The participant receiving the noise can either continue in the new direction (saying “pterodactyl”) or can reverse the direction again (by making a pterodactyl noise). Participants who show their teeth, look in the wrong direction or go too slowly must step out of the circle and become judges. The competitive and speedy play continues until the circle shrinks to two participants, who are the winners. You can also play this game by saying “zip” instead of “pterodactyl” and “bing” instead of making a pterodactyl noise. How difficult or easy was it for you to stay focused and not laugh? Why is it healthy for a group to laugh together? How does laughing with others help build relationships?